You’re listening to the third episode of Reel Writing: Poems and prose off and on the tape reel, brought to you by Houghton Library and the Woodberry Poetry Room at Harvard University. This is Virginia Marshall. Today, we’re going underground. 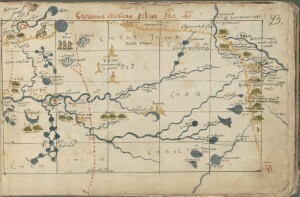 Emilie Hardman: This is the first atlas of Siberia. It’s just lying there and kind of by luck it survives. Down in the buzzing, climate-controlled basement of Houghton Library live thousands upon thousands of books. EH: There’s one where they look like kangaroos… I’ve never been able to—there they are. Don’t they look… I mean, how would he have found a kangaroo to—and why? In my mind those are the kangaroos of Siberia. I don’t want to compare it to a dungeon of scholarship, but the metaphor is somewhat appealing. I could never call it a “dusty old library” because—though some books are old enough to be written on papyrus—they are far from dusty. EH: This is our little backpack vacuum. We have to vacuum the stacks. That’s Emilie Hardman, the Houghton research librarian who took me on a tour of the stacks underneath Harvard Yard. Her jangle of keys and access cards accompanied us everywhere, along with the occasional click of a light switch to illuminate a row of rare books. EH: This is the hospital. These are things that we know need repair. EH: This is one of the most important collections that we have…it’s the American Board of Foreign Missions…and it’s the records of missionaries who went all over the world. VM: Oh my God, that’s amazing. That’s an ax! EH: That’s an ax. A giant ax. 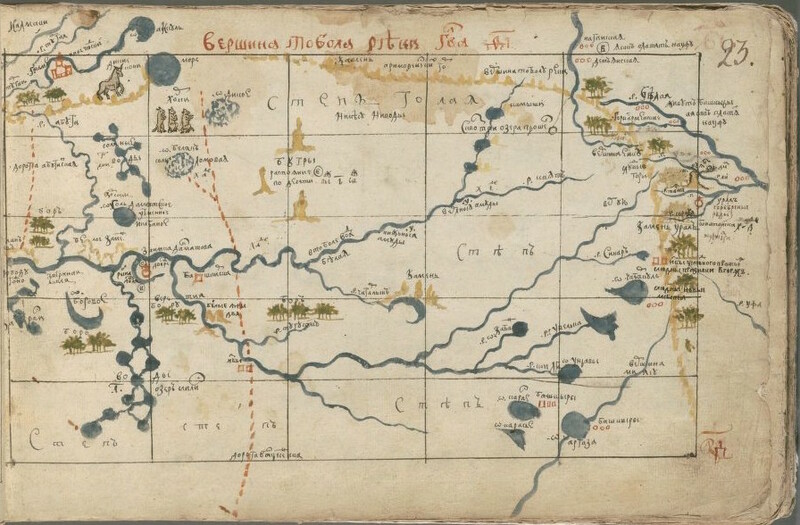 A page from the 17th-century cartographical sketch-book of Siberia. Note the kangaroo-looking creatures. MS Russ 72 (6) f.23, Houghton Library, Harvard University. VM: Wow, that’s a nice ax. EH: …an object of great use. An object of great use. How does the library decide that the ax owned by Abraham Lincoln should be filed away and preserved? What is it about that particular object—or even the thousands of books in the library—that makes it worthy of a spot on these dark, crowded shelves? Placing an object in this great storeroom underground makes that thing matter. EH: I mean—there’s a curatorial art to this. You sort of bank on the fact that particular things will have research utility. And there are a lot of things down here. One of the student stacks assistants rattled off objects he had encountered while retrieving, dusting, and ordering books in the stacks. Preston Craig: We have one of T. S. Eliot’s hats. I paged a Beethoven manuscript. There’s Shakespeare’s first folio like right next to where I work. There’s a first printing of the Declaration of Independence in the sub-basement as well whose box I vacuumed. We have a lot of people’s locks of hair, like one of the Bronte sisters. Deciding what to keep is part guesswork and part knowledge of cultural trends, Emilie explained. And the reasons for saving a certain book or a lock of hair or a walking stick are not consistent throughout a library’s history. EH: Because a lot of ephemeral material—people have thought at different times was or was not important. So, like, ticket stubs or theater seating charts. This stuff is actually really relevant for certain kinds of projects. So, all a library has to do is collect as much as can fit into a certain number of boxes, label them all with unique call numbers, and store them in a climate-controlled basement. That simple, right? Well, no. Because once you have the artifact—and hopefully a curator had the foresight to collect whatever it is—then you have to know how to lead people to it. EH: It’s hard to do because sometimes there’s evidence in a thing… there’s still that discovery that has to happen. That discovery—of a forgotten social phenomenon, of the unique craft of an ancient author, of the origin of a movement. That is all waiting to happen down here. You just have to have a hunch where to look. Much of the organizational maintenance of the physical stacks is up to the stacks managers and student library workers who push trolleys down endless rows of shelves to retrieve items, place them on the dumbwaiter in the center of the stacks to be elevated up to the sunlit reading room above ground. Joseph Zajac: Joseph Zajac. Z-A-J-A-C. My official title is the Houghton Library Stacks Supervisor. I always wanted to work for a major library. The books, collections, and shelves themselves are under my care. So that’s my job. And all other including the premises and floors. PC: I’m Preston Craig. I’m one of the student stacks assistants… Houghton has something like 35 to 40 miles of shelving. My main responsibilities are paging and re-shelving items. So the requests come down from the reading room, come out on the printer. I get them and I go find the item in the stacks wherever it happens to be. And then after patrons are done using them, they come back down to us and I put them back where they were. EH: When it comes back, if it doesn’t go right here… if it goes here. It is functionally lost to us. A matter of a few inches could cause the whole library a small amount of chaos, searching for a book that appears lost. So, the question is—how to keep track of all the books? Your first thought might be the Dewey decimal system. That’s the classification system you may have learned about in elementary school and one that is used by many public libraries. Dewey-classified books are organized into call numbers based on subject matter and author’s last name. Many of the books in Houghton’s library, however, were collected before Dewey’s birth, at a time when there weren’t many libraries. Individuals or institutions came up with their own organizational systems. Very early Harvard cataloging was specific to the building in which the books were kept. So the numbers inside the books’ covers might denote the physical location—floor, bookshelf, and book number. But as the library grew in number of books and in size, other systems became more useful. EH: So these are ciphers. These are country codes and then centuries—or part-centuries…and then there is an author code, and then this is an ownership code. So these were all owned by Alcotts. I got kind of excited by the classification system. Its complexity shows you just how many books and codes there can be, so I’m going to break it down for you. If this type of thing is boring, skip ahead about a minute. If not, listen away. So basically there are three main elements to each call number. First it’s the nationality of the author—American, Russian, Latin American Nicaraguan, Chinese, Tibetan, Latin American Guatemalan, and all of these nationalities have separate codes. Also within the first element are one or two digits that denote the period of time during which the author flourished. Five for sixteenth century, six for seventeenth century, and eight-five for the latter half of the nineteenth century. The second element of the call number includes the first letter of the author’s surname plus four Cutter numbers. Charles Cutter devised a coding system that involves abbreviating the author’s last name with alphanumeric digits in a complicated pattern so that the last name ‘Cutter’ would be represented by C88. Cutter’s Expanded Classification never caught on in the way that Dewey’s did perhaps because Cutter died before completing it. But Cutter numbers did become part of the Library of Congress Classification that is used today. Finally, the third element includes the publication date of the book, first letter of the book’s title, and a letter denoting the edition number. This is all without mentioning the physical size of the book, which is sometimes coded into letters and numbers and tacked onto the beginning of the whole code. And this system is just the one used for books, I haven’t even talked about manuscripts or objects. EH: Once you understand some of these call number systems, you can see whole histories of material and values that were placed on them. Deciphering the call numbers is more than just figuring out where a book is located, though that is very important as well. Understanding call number systems means understanding what types of materials were saved at different times and how people thought to recall them. Were certain centuries or nationalities valued over others at any given time in a library’s history? When a new code is created to reference a time period, area of the world, or type of material, then you can tell that librarians and curators at that time were thinking about cultural history differently; they were changing the layout of the library to accommodate new ways of thinking about creation and cultural craft. PC: It has definitely made me more aware, I guess, of the direct physical link that we have with various writers and artists. That, like, they were really people with real lives who scratched things out and spilled things on their manuscripts. By looking at what was saved at what time and how it was shelved, we can see the history of what mattered to them then and understand why certain things matter to us now and guess what will matter to those in the future. This all made me think again about what Emilie said about the work of the curator—the guesswork and research that goes into acquiring certain works. 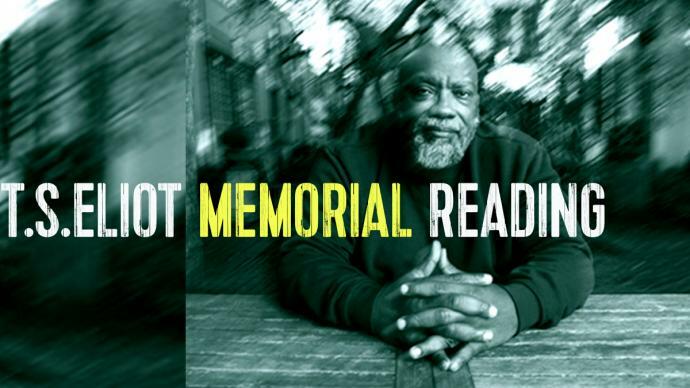 How can libraries predict what people who are not even born will want to look at? What from today’s world should we save? EH: So you think about Salmon Rushdie writing a book—well, when we think about Melville writing a book, we can see how Melville wrote. We can see it because former curators and librarians thought to preserve Melville’s manuscripts. Because of their foresight we can hold his papers and pen and we have an idea what type of oil lamp and writing desk he might have composed on. EH: Can we do the same for Rushdie? How do we recreate that? Well part of it is the hardware, like the physical computer or computers. What do those look like? Scholars of the future will have to understand—like, to understand his creative process, you have to understand the hardware on which he created it. And they have to understand the software on which he created it, and we probably need a way of, we call it emulating that for scholars of the future so that you’re not just looking at a text file that has striped out all the context of this thing’s creation. You have to look at it in the way that he looked at it. This is “Sonsick” by San Fermin. Earlier in this episode you heard “Extrospect” by Night Trevors. Thanks for listening to Reel Writing. Until next time. Virginia Rose Marshall is a recent graduate of Harvard University and a 2015 recipient of the Houghton Library Undergraduate Fellowship. Surprise! 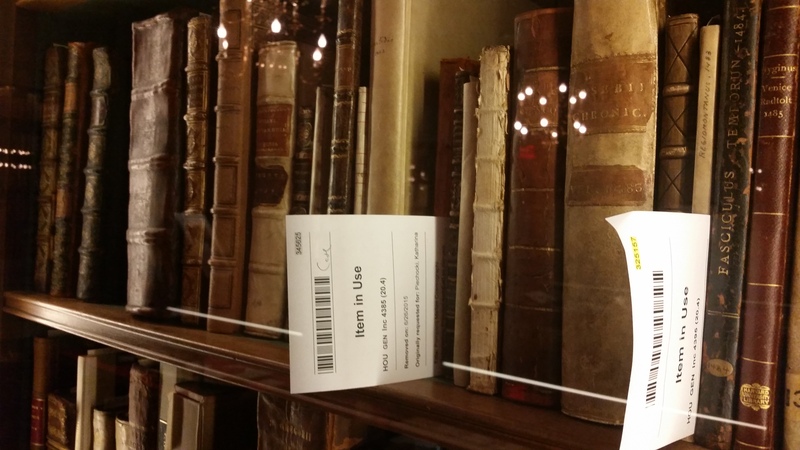 A chance to listen in on a day in the life of a research librarian at the Houghton. Many new ideas here and a bit more understanding of Emilie’s day. Well done.